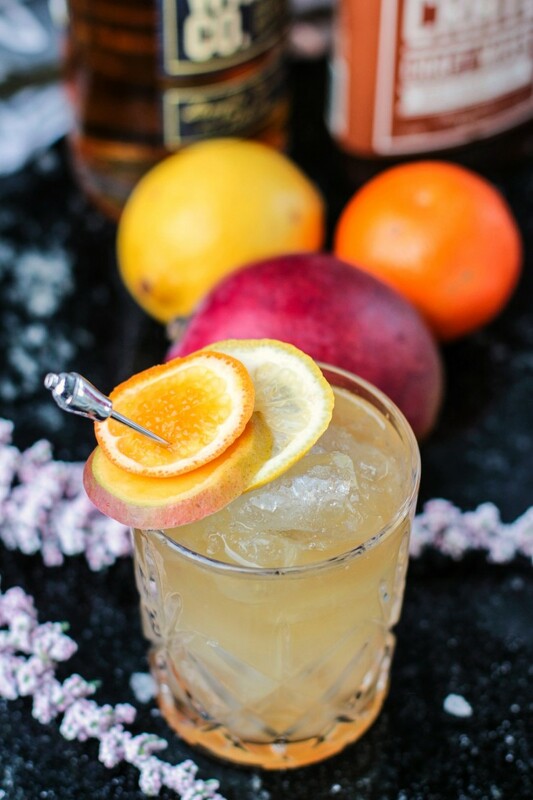 In a cocktail shaker add maple whiskey sour, bourbon whiskey, New York style lemonade, and ice. Strain into serving glass filled with fresh ice. Garnish with orange, lemon and mango slices.